Volvo is preparing to celebrate the 50th anniversary of its Torslanda, Sweden, factory. Known as Torslandaverken (Torslanda Works in Swedish), the plant was inaugurated on April 24th, 1964, in order to keep up with increasing sales across the globe. 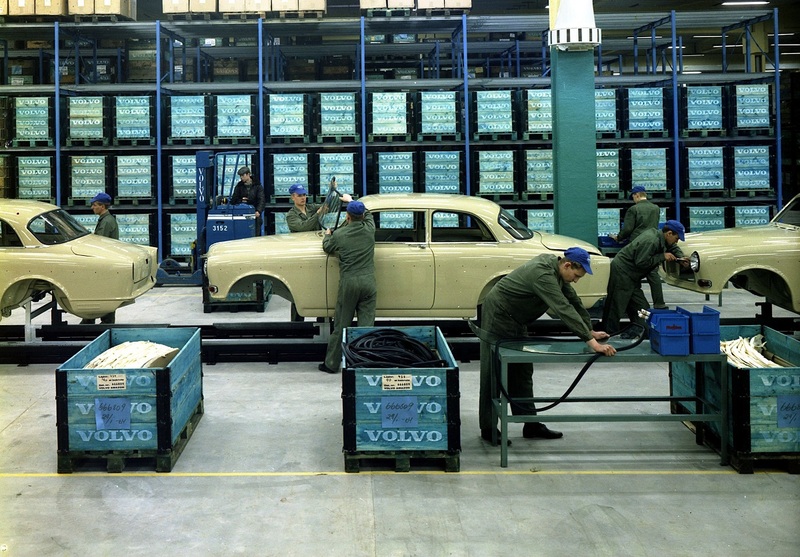 Volvo first saw the need for additional production capacity in the late 1950s. The company had outgrown Sweden’s borders and was sending more and more of its cars to Europe and to the United States. The company could not expand its historic Lundby factory, so it quickly realized building a new plant from the ground up was the only way forward. With the Swedish government’s blessing, Volvo started purchasing plots of land from farmers and other land owners in rural Torslanda. Setting up shop on the outskirts of the small town was a strategic decision: Torslanda was not far from its home town of Gothenburg and it was located within a stone’s throw of a port, facilitating the task of shipping its cars abroad. Construction work started in November of 1959. At the time, the new Volvo factory was hailed as one of the largest industrial investments ever made in Sweden. The body plant was quickly finished and the first Amazon body was delivered to the nearby Lundby plant in 1961. The paint shop was completed in 1962, and the full factory was inaugurated to much fanfare two years later. The first car that rolled off of the Torslanda assembly line was an Amazon. The factory initially had a production capacity of 110,000 cars a year with a single shift and 150,000 cars a year when running two shifts. Production increased as sales grew, and up to 178,000 cars rolled out of the Torslanda factory each year in the early 1970s thanks to the introduction of new models like the 144 and the 164.